For those of you still wondering what the Gentle Giant Premier Guild Gift(s) will be, wonder no more! Click here for all the details! Big Bad Toy Store Cyber Monday Sale! Hi - I wanted to send out a quick note to all our customers about our 25% off 'Cyber-Monday' Sale on http://www.bigbadtoystore.com. This sale will run only 12 hours, from now until 10:00 PM Central Time, Monday November 26th. Everything in the store except 'New' and 'Preorder/Backorder' is included, so thousands of items are on sale. What more could you ask for on this Cyber Monday than a life size Salacious Crumb! Swing by Sideshow Collectibles to check it out for yourself! Urban-Collector has a great coupon that is valid on Sale Prices and Pre-Orders through Nov. 30th. Use coupon code: ucsavings1007 to save $5 off a $50 purchase. Click here for all the latest!. batch of new preorders and more new arrivals. There will be a lot going on in the next month as manufacturers rush to get everything delivered in time for the holidays - so be sure to check back often. Check out the full newsletter here! Brian's Toys would like to wish everyone a very happy Thanksgiving, and by doing so we are serving up a nice, healthy portion of savings! We have reduced prices for a limited time on so many items, we couldn't possibly list them all here. Expect svaings on 30th Anniversary, Revenge of the Sith, G.I. Joe, Transformers, and more! So don't get stuck in the snow this winter season, hurry up and get over to brianstoys.com! Sale ends Tuesday, November 27th. Gentle Giant Ltd. & AFX Team Up to Animate 2008! 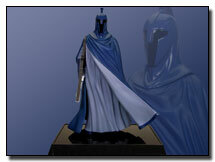 Gentle Giant Ltd. is excited to announce they are teaming up with Action Figure Xpress to Animate 2008! All the details here! StarWarsShop is hosting the biggest sale ever in its four-year history this Friday, where the price on EVERY item in StarWarsShop’s inventory will cut by 20% for Hyperspace members and 10% for regular visitors! And by everything, we mean EVERYTHING – Gentle Giant mini busts, Hasbro action figures, LEGO sets, video games, artwork prints and posters, maquettes, clothes, hats, and tons more. The LEGO store at Bridgewater Mall in New Jersey currently has on display a MOC that I've done this past couple of weeks and will be on through the holiday season. Hi - Here is a quick update from http://www.bigbadtoystore.com about many new arrivals, more new preorders, items ariving soon, and a new sale! Check out all the deals right here! THANKSGIVING SALE: With only a week to go until Thanksgiving, we decided to break out the deals a bit early! We've just reduced prices on 140 various overstock or older items. There is a fairly wide selection of items, the bulk of the items are overstock items from Hasbro and Mattel - many items are below wholesale cost. Take a look at the Turkey Sale items - this sale will run for about 10 days. Our friends at Saber-Stand want to invite you to their Web site to check out their stylish vertical mount Force FX display stand. They have a nice gallery showing off customer displays, and a "buy 4 get one free" offer. Check out Saber-Stand.com today! We just wanted to pass along a happy birthday to our friends over at Galactic Voyage. They celebrate 8 years on the internet, and are celebrating with a nice site re-design. Stop by and say hi! As promised, we now bring you a special Kotobukiya spotlight article treat! This time we are bringing you a brand new exclusive first look at the debut release in the Kotobukiya Bounty Hunter Series: Boba Fett! While all Star Wars fans are going to drool over this piece, Boba Fett fans will be especially happy at the awesome detail and striking action pose Kotobukiya offers in this statue. We've also launched our Special Reports page dedicated to these spotlight articles. Click here for our Kotobukiya Spotlight Article archive. The word is in... the new book The Star Wars Vault is a hit! If you haven't had the chance to pick up this gem yet, make sure you stop by Amazon.com. They have a great deal on this, just in time for the holiday season. Save 37% AND free shipping! Urban-Collector is gearing up for the Holidays with a ton of new merchandise arriving daily. Stop in and see what's new. I was at Walmart yesterday and found the Hunt For Grevious and the Betrayal on Bespin. I only picked up the Hunt For Grevious. I also found the same BPs at Target along with the Coruscant Attack. Here's a photo of the Hunt 4 grevious I picked up. Just to pass it on. Thanks for the update Chad! KSWCC is proud to announce our first ever Charity Raffle to benefit the Kosair Children’s Hospital Foundation. Our goal is to raise $10,000 for this great cause, and to help do that we are going to be raffling off two great prizes. The grand prize will be a Master Replicas Limited Edition Studio Scale Millennium Falcon, and our second prize will be a Master Replicas Limited Edition Studio Scale Darth Vader Helmet. Click the banner below for all the details on how you can enter! The latest edition of the Hasbro Q & A Roundup is live over in the War Room. Head over to read all the questions and their answers that were given on November 9th from around the web. Not much new this week, but expect alot more in the following! Right now we have the fresh, new Battlefront II Exclusive Clones & Droids packs in stock as well as plenty of Vintage Star Wars items including a 12-Back Display Header (AFA 85) and Cloud City Playset (AFA 85). Finally we have received the newly-revised version of the Cobra 5-pack! This new pack is awesome, including new packaging and a freaky Cobra troop chanting! Get plenty more of our great products at www.brianstoys.com! StarWars.com has released a tidbit of info on a new novel series by Michael Reaves due out Summer 2008: Coruscant Nights. This series takes place after Order 66, during the rise of the Empire. The first book, Jedi Twilight, is due out next summer. Check out a brief synopsis right here. Hi – Here is another quick update from http://www.bigbadtoystore.com about a slew of new arrivals and many more new preorders. Check out the full newsletter right here! Brian's Toys has a new mid-week newsletter for their special eBay auctions. This week features a huge list of NO RESERVE auctions with items from Master Replicas, Masters of the Universe, Gentle Giant, Vintage, 30th Anniversary, Revenge of the Sith, and more! All items start below a dollar, and all items will sell. Click here to view our No Reserve Auctions. Urban-Collector has a ton of new Pre-Order's available for November. We also have a special coupon code that saves you $5 off any $50 order through Nov. 30th! Use coupon code: UCsavings1007 to save an additional $5 off our low, low prices. We still have 30th Anniversary Wave 6 figures left in-stock, including the Snowtrooper McQuarrie. Looking for some legos? We got a nice handful of Lego Star Wars in stock! In our G.I. Joe department, we are taking pre-orders on the hot, new up-coming Comic Book 2-Packs! Head on over to www.brianstoys.com to check out our latest pre-orders! If you've been waiting for the cool Previews Exclusive Battlefront II set, now is the time to order! Entertainment Earth has them in stock and ready to ship! Click here for all the details! Sideshow Collectibles does a surprise pre-order release today for their Militaries of Star Wars line: Commander Praji. Click here to place your order! He is limited to only 3000!